A Chicago native who worked out for the hometown Bears during their local prospect day as well as working out for the Green Bay Packers, Miami Dolphins and Cincinnati Bengals, Bibbs draws high marks as an all-around tight end for his pass-catching and blocking skills. Bibbs has been projected as a fifth-round to seventh-round draft target by ESPN draft analyst Mel Kiper Jr.
Bibbs caught 45 passes for 382 yards and eight touchdowns last season and was a first-team All-Big 12 selection. “I like Antonio Gates and Dallas Clark, those two guys,” Bibbs said. “Clark is old-school, undersized, no gloves. He got after it.”Bibbs has recovered from a meniscus surgery that sidelined him during the Senior Bowl and NFL scouting combine. Bibbs is represented by Marc Lillibridge, a former Iowa State and NFL linebacker who was a Green Bay Packers assistant personnel director prior to becoming an agent. Bibbs met with the Baltimore Ravens informally at the NFL scouting combine. He bench pressed 225 pounds 20 times at the combine. At his Pro Day, he did 22 reps and ran the 40-yard dash in 4.8 seconds. He had a 31 1/2 inch vertical leap, a 9-2 broad jump and a 7.22 three-cone drill. The 6-foot-2, 258-pounder was a Mackey Award semifinalist. 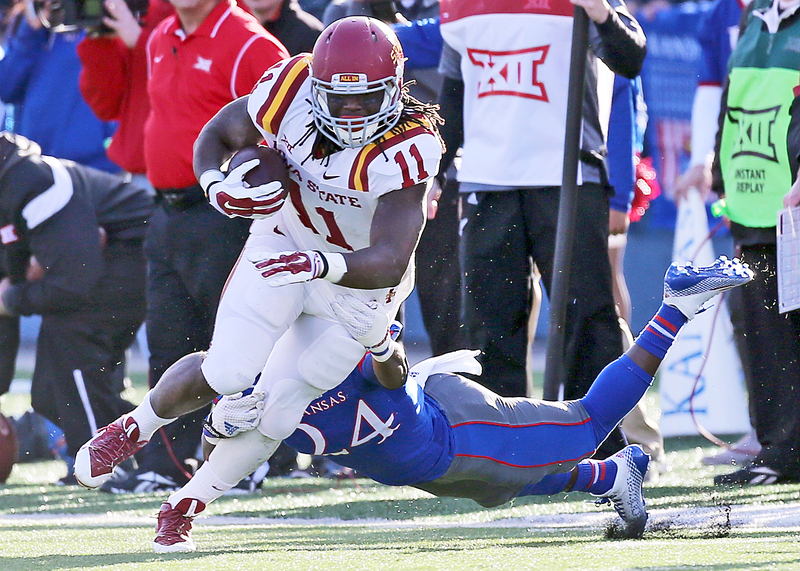 He was a second-team All-Big 12 selection in 2013 when he caught 39 passes for 462 yards and two touchdowns. and honorable-mention All-Big 12 Newcomer of the year. In two seasons, Bibbs had 84 catches for 844 yards and 10 touchdowns. He played in 2012 and 2011 at Arizona Western where he was a second-team junior college All-American and caught the game-winning touchdown in the NJCAA national championship game. He chose Iowa State over Oklahoma and Nebraska. Bibbs said he’s set simple goals for his rookie season.